Major cities, including Delhi, Bengaluru, and Hyderabad, are expected to reach zero groundwater levels by 2020, affecting millions. The Niti Aayog report says that the water scarcity will lead to an eventual 6 pc loss in India’s GDP. India is placed at 120th among 122 countries in the water quality index. A Niti Aayog report titled ‘Composite Water Management Index’ (CWMI), on June 14 revealed that India is suffering from “the worst water crisis” in its history, with about 600 million people facing high to extreme water stress and about 200,000 people dying every year due to inadequate access to safe water. The report released by Minister for Water Resources Nitin Gadkari said that the demand for potable water will outdo supply by 2030 if necessary steps are not taken. “By 2030, the country’s water demand is projected to be twice the available supply, implying severe water scarcity for hundreds of millions of people and an eventual 6 pc loss in the country’s GDP,” the report noted. “Although 93 pc of India’s urban population has access to basic water, there are still sharp inter-city and intra-city inequities. Further, supply gaps are causing city dwellers to depend on privately extracted ground water, bringing down local water tables. In fact, by 2020, 21 major cities, including Delhi, Bangalore, and Hyderabad, are expected to reach zero groundwater levels, affecting access for 100 million people,” said the report. Citing data by independent agencies, the report pointed out that with nearly 70 pc of water being contaminated, India is placed at 120th among 122 countries in the water quality index. The report even talked about the condition of drinking water and said that three-fourth of the households in the country don’t have drinking water at their premise and most of the states have scored less than 50 pc when it comes to augmentation of ground water resources. This report comes out three months after a BBC report declared that Bengaluru will be one among 11 cities in the world to reach Day Zero. Gujarat was ranked number one in efficient management of water resources in the CWMI report, followed by Madhya Pradesh, Andhra Pradesh, Karnataka and Maharashtra. India is reeling under constant water crisis that shows no signs of waning. There has been excessive demand but the water resources are extremely mismanaged. Erratic weather patterns and climate change are adding on to the crisis. 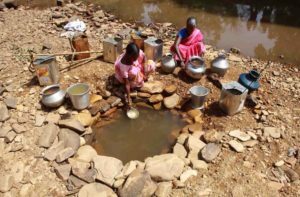 A 2018 report from global advocacy group WaterAid, put India at the top of its list of countries with the worst access to clean water close to homes-163 million Indians live this way. 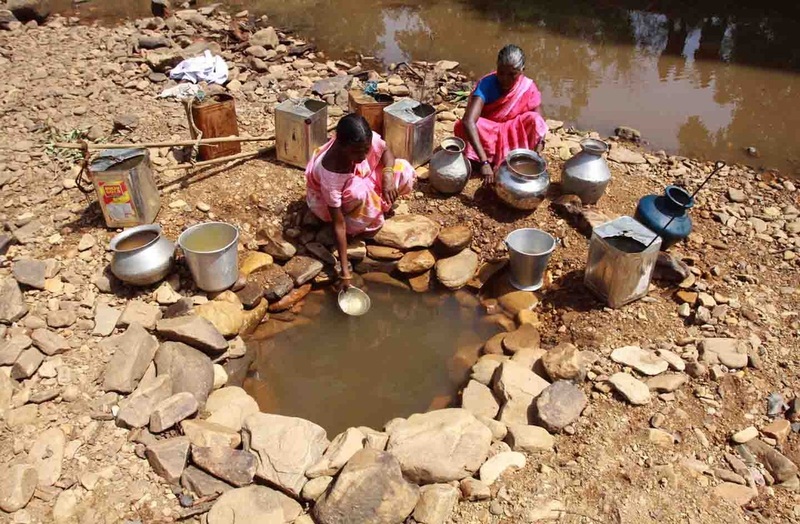 There is not one Indian city that can provide potable water from its taps. Recently Shimla, a hill town in the northern state of Himachal Pradesh, ran out of water and the residents waited for four days to get water. Tourists were asked not to visit the hill station at the end of May and state schools remained closed for five days. According to government data, the average annual per capita water availability fell 15 pc in between 2001-2011. It is predicted to fall another 13 pc by 2025 and 15 pc again by 2050, which means that in another 30 years each Indian household will have about 1.1 million litres of water per year, down from 1.8 million litres in 2011. Rajendra Singh, a well- known water conservationist also known as ‘India’s Waterman’, said that over 70 pc of the country’s groundwater is in “overdraft”, implying that more water is consumed than is replenished. The government needs to plan properly in order to curb the water crisis in the country. India could learn from countries like Israel and Singapore on implementing a centralised water management system. In 2017, Prime Minister Narendra Modi announced an USD 87 billion plan to link 60 rivers across India in an attempt to provide better irrigation sources and reduce flooding. Also, Maharashtra has chosen to implement Israel’s drip irrigation method for entire crops like sugarcane. Cultivators have dug “farm pools” to harvest rainwater for sustained irrigation purposes in small areas. Even though this is just a beginning, India needs to come up with other fast water management initiatives that will help it to deal with the current water crisis. Establishing a ‘Composite Water Management Index’ for the country. This Index is expected to establish a public, national platform providing information on key water indicators across states. Incentive-based mechanisms for groundwater restoration, such as an innovative water impact bond that pays out funds to community organizations/ NGOs on achieving groundwater recharge targets. Consumption slab based tariffs, with low consumption users, usually poor people, paying low tariffs and being cross 131 subsidised by the higher tariffs on the high consumption users. Other cities can implement these consumption-based tariffs to ensure equity, while moving water utility systems towards full-cost returns and economic efficiencies as a whole. State governments should build supply networks and limit private groundwater access to ensure sustainable water use in cities, and prevent the rationing and strife witnessed in the water crisis of Cape Town.